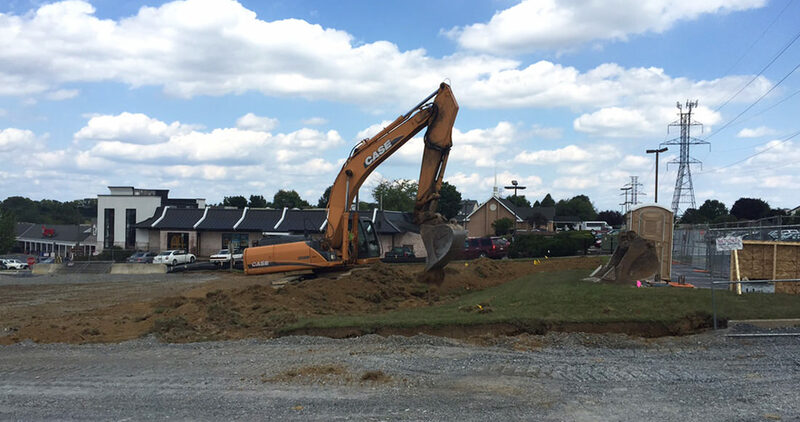 The former site of a Hess gas station had been sitting vacant on a prime corner located at the entrance to Willow Valley Square at Willow Valley Drive and Willow Street Pike for over 7 years. While marketing the site and searching for the highest and best use, we learned that one of the major challenges for the site was its limited size. Willow Street Pike receives 22,000 vehicle trips per day, and the site is located at the first major two-way intersection 2 miles south of the city of Lancaster. Because the site was only slightly larger than 1 acre, the uses for the site were very limited. 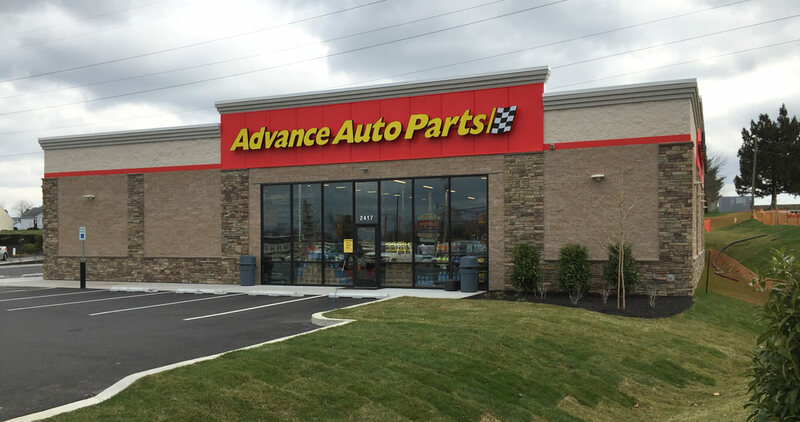 In spring of 2014, with assistance from Bennett Williams Realty Inc., Willow Valley had the opportunity to enter into a long term lease with nationally recognized auto parts store, Advance Auto Parts based in Roanoke, VA. It took about a year to complete the deal and negotiate the build-to-suit ground lease, but that’s when the real challenge began. 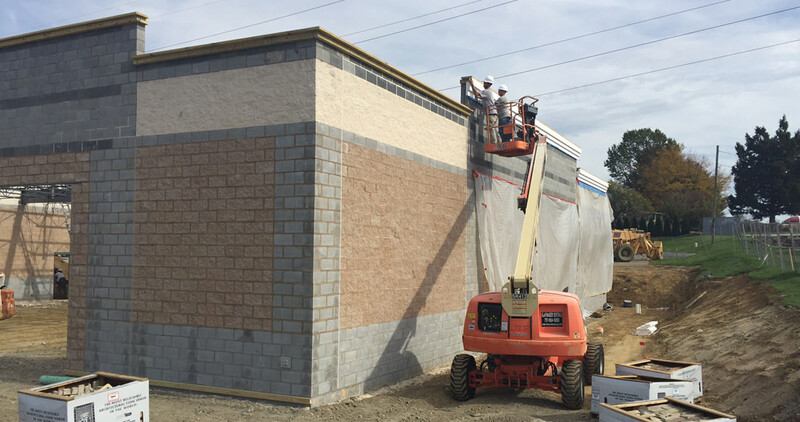 Advance Auto’s goal was to complete construction and open the store by December 2015! Willow Valley was committed to make that happen! Willow Valley leaned on its strong relationships with Rettew Associates, CCS Building Group, ESD Architects, B.R. Kreider, West Lampeter Township, PPL, UGI, and CDM Smith. With about 6 months to go in 2015, the team worked to design a site plan, receive County and Township land development approvals, complete construction drawings, obtain building permits, complete major relocations of natural gas, electric, and sewer lines, and construct and deliver a very attractive 6,900 square foot Advance Auto Parts store on November 30, 2015. 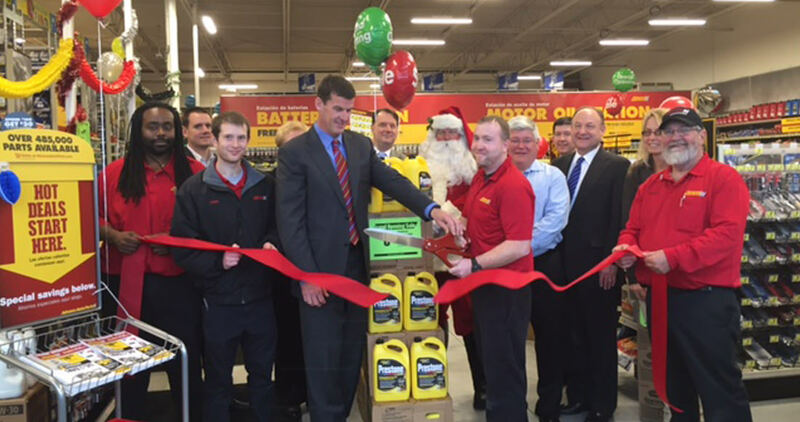 Advance Auto Parts took possession, installed fixtures and inventory, and opened for business on December 17, 2015, just in time for the holiday rush. Willow Valley is grateful to all of the individuals that worked tirelessly to pull off a remarkable feat. We must add that every individual within the Advance Auto Parts corporation were extremely responsive and helpful throughout the process.